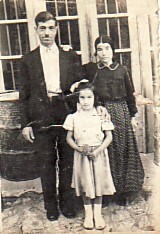 Above: His parents, Dimitrios and Diamando, and my sister, Evangelia. Above Middle: With friends. 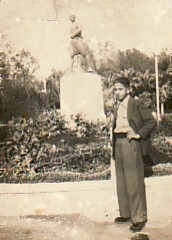 Nikolaos is standing right, while Panagiotis Koutlis is sitting left. 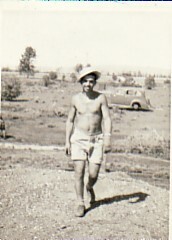 Above: On his way to Australia (1954). Above: Peak Hill, New South Wales, 1955. 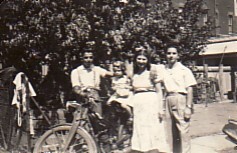 With Venetia Kara and Grigorios Loupos. 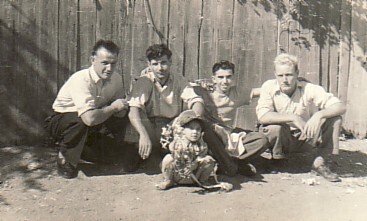 Nikolaos is on the left. Above Right: Working for the railways in rural New South Wales. 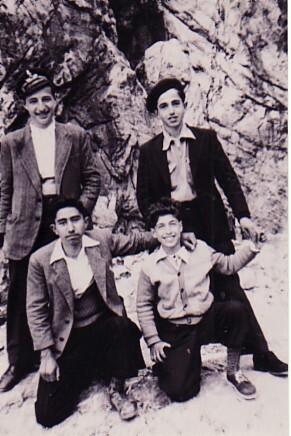 Above: With horiano, Spyridonas Malamas (second from left); Nikolaos is third from the left. 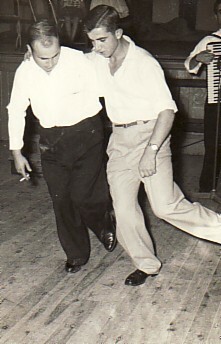 Above Right: Dancing with horiano, Sotirios Caldellis, at a Greek social dance in Parkes, New South Wales. 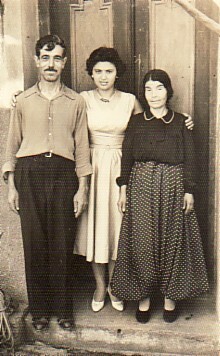 Above: His parents, Dimitrios and Diamando, with his fiance, Zaharo "Rita". 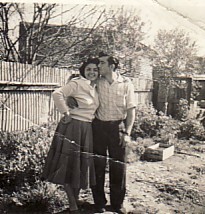 Above Right: First photograph together as a couple in Australia- with his fiance, Zaharo. 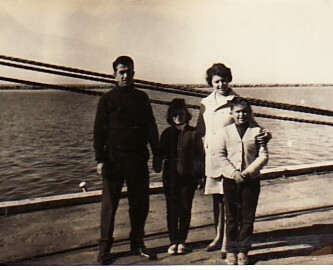 Above; With my wife, Zaharo, and their children, Irini and Dimitrios.